Listed below are maps to Thomasburg, Ontario, and to the Fall'N'Stars 2019 site. We've also included the general layout of the Fall'N'Stars 2019 site to help you plan your setup if you get there early and not many other people are there. 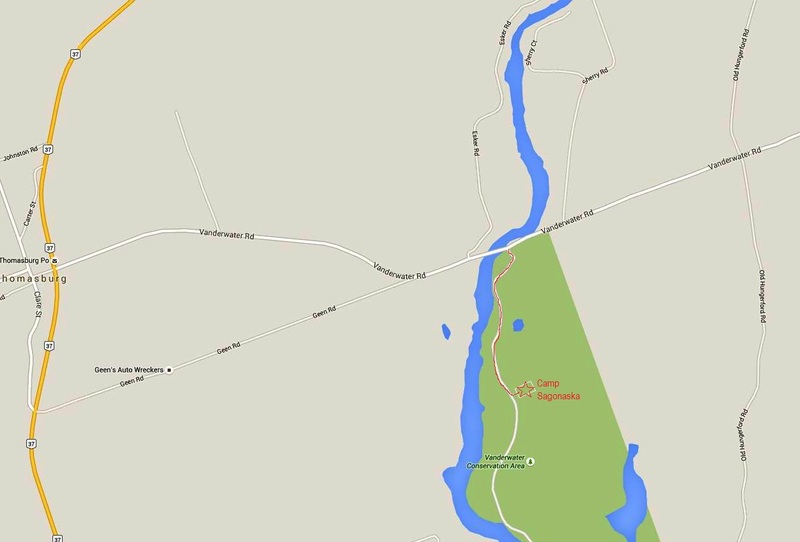 Map of the area north of Belleville and Kingston showing how to get to Thomasburg from Hwy 401. 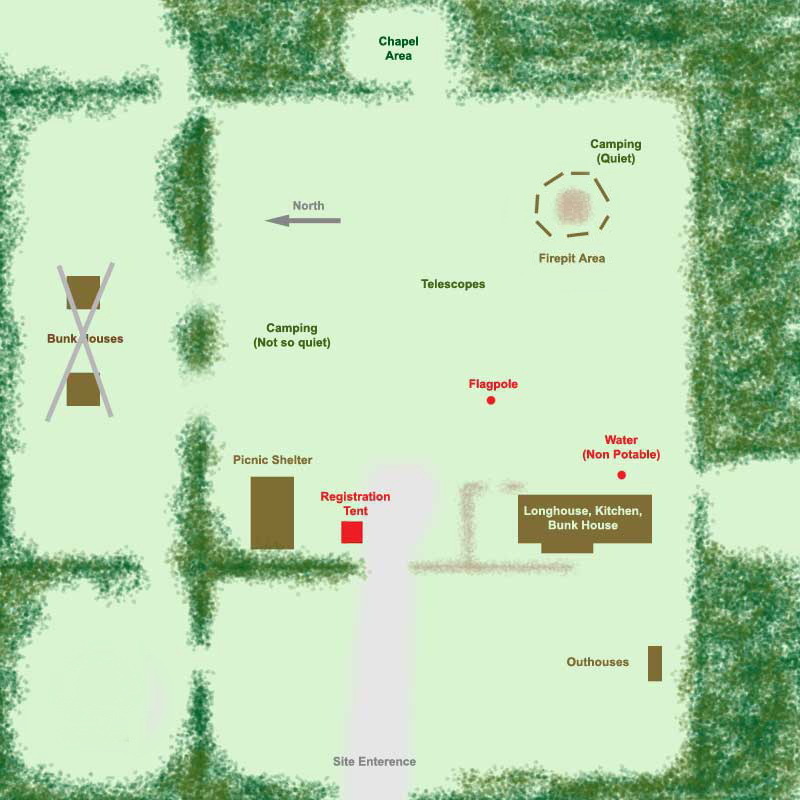 General layout of the Fall'N'Stars site, showing the buildings and where to set up your tend (or what bunkhouse you may want to use) and the location for telescopes. NOTE: The FirePit has been moved close to the quiet area, so it may not be as quiet as in the past.